What am I going to do after graduation? How do I find a job? What is my next step? Most of you are familiar with these questions. You’ve heard stories from friends who work in a supermarket and stories from people who tell you that the world after college is going to be cold and tough and none too friendly. Many of you worry but don't know what to do about it. It doesn't have to be that way. 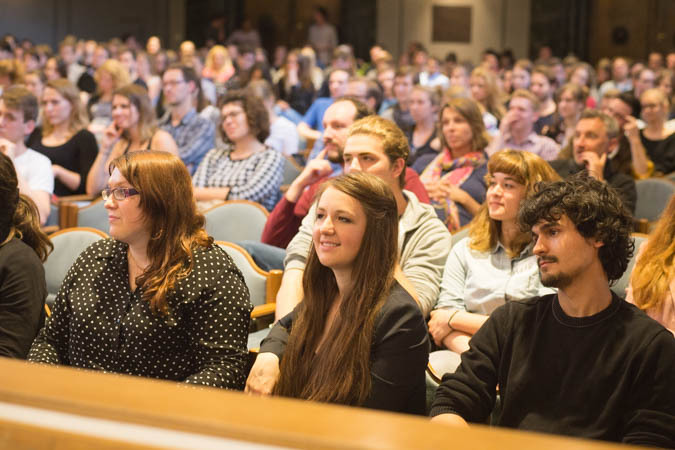 In July 2015, we organized an Alternative Career Night at the University of Munich. The slogan of our event was: "Do what you want! And not what the market expects of you". We invited professionals who had already done just that. They were doing what THEY wanted to do: Germany's leading career consultant, the former Vice President of the Technical University Munich, the "Crazy Ice Cream Maker" and a Zen master. What was initially planned as a small gathering turned into a huge event. More than 1000 people signed up on Facebook. Newspapers called, radio channels arrived to interview participants, a TV-channel sent in a camera team to report on the evening and even Lewis & Clark College in Portland wrote about it. We had obviously hit a nerve. That’s how we started. Did you know that only about 30% of all jobs in Germany are filled with people who have applied for the position? A good job is not a goal, but an effect that happens when you know what your passion is and how to approach it practically, here and now. You shoot the arrow and follow. To help you on your way, we have developed a program that we call Finding Your Way. 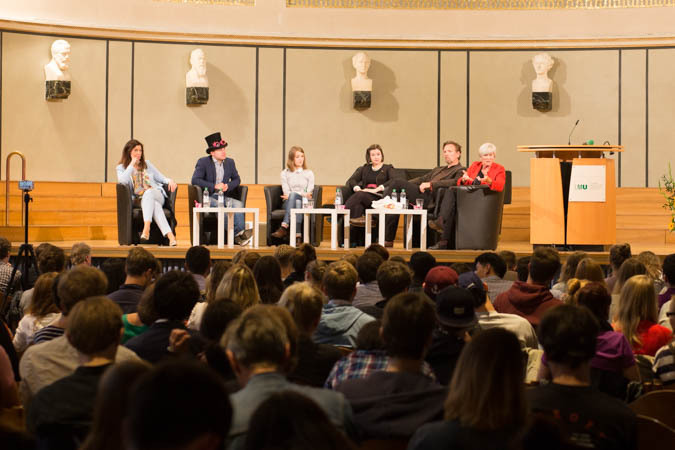 Finding Your Way is open to students of the Year of Study in Munich, as well as anyone who is trying to find their own path through life; all are welcome. It is taught in German, but the assignments can be done in German or English. All meetings take place at the Year of Study in Munich, Kaulbachstrasse 26. The workshop helped me a lot to regain confidence in myself and my strengths and to alleviate my anxiety about the future. Little by little, I was relieved of the pressure of feeling like I have to make something immensely grand of my life. Through this workshop, my joy of life and imagination returned. Now I know: There will always be a way as long as I trust in myself and in my capabilities. I am deeply grateful to Ralf Saborrosch and my group for our time together and can only recommend to others that they, too, embark on a journey to find themselves through this workshop. I am so grateful that I had the opportunity to participate in this workshop. It was a great experience that I wouldn’t have wanted to miss. It’s amazing how much I learned about myself and the skill set I have. It also gave me so much confidence and made me a lot more optimistic about my future. I found a great support system within the group and have been able to take the first steps to follow my path. Although I really couldn't imagine it at the beginning, this workshop has changed my life. Its concept is so simple and yet so powerful. It made me question my idea of how a job should be and taught me how my dreams can come true. The exercises enable a playful handling of the real question: "What do you want to do with your life?“ I have learned how to free myself of fear and boundaries that someone else has set for me. As a result, I learned how to set my own goals in a realistic way and how to follow them step by step. It was such a great experience to participate in this workshop! I still can’t believe how much I learned and how many things have started to move and change. Finding Your Way made me trust myself and my talents, inspired me and motivated me to go new ways. I discovered new sides of myself and can only recommend this course to everybody who wants to find and go their own way! Finding Your Way was a great experience! The workshop helped me believe in myself and my own abilities. Step by step, it took away the pressure that comes from fulfilling expectations from the outside and at the same time it opens a horizon of opportunities that most of us only encounter in our childhood. I still look at this horizon with curiosity, joy and enthusiasm.